Obituary – Johnson, Jesse Gail « Perry High School Alumni Association, Inc.
Jesse G. Johnson, 58, 710 Thirteenth street, died at 8:20 p.m. Friday at Perry Memorial hospital which he entered Wed­nesday. Funeral will be at 10 a.m. Monday at the First Christian church in Perry. Officiating will be Rev. Michael Beasley, pas­tor, and burial will be at Grace Hill cemetery under direction of Newton funeral home. Johnson was born Aug. 10, 1915, at 722 Grove street in Perry. He grew up here and graduated from Perry high school in 1934. 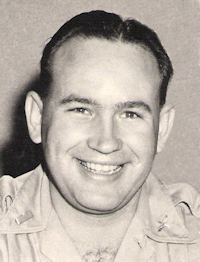 A 1940 graduate of Oklahoma State university, he was a member of Acacia fraternity. 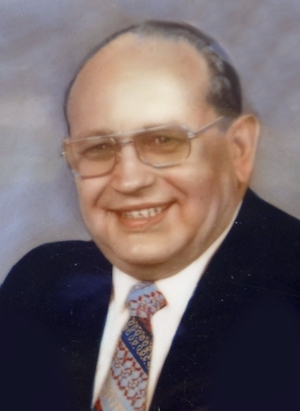 Johnson worked as a young man in the meat department of a grocery store that was operated on the east side of the square by his late parents, Mr. and Mrs. H. L. Johnson. A member of the First Christian church of Perry, Johnson served in New Guinea and in Australia in the U .S. Air Force during World war II. He had been employed 27 years by R. L. Frailey, Inc., of Perry and had been that firm’s office manager. He became ill last July and had been hospitalized in Kansas and in Oklahoma City before entering the Perry hospital. He was married March 27, 1945, in Perry to Dorothy Durbin, who survives. Johnson in the past had been active in local and state organizations of the Boy Scouts of America and Cub Scouts.